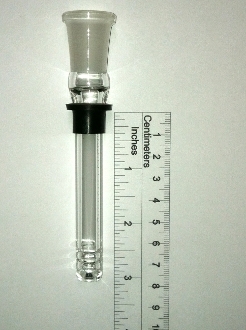 10mm Female to Rubber Grommet Downstem. I can make these any length you need. 10mm female Fitting. 12mm Diameter Downtube. 6 Slot Diffuser. All diffusion cuts are flame polished and annealed for strength.